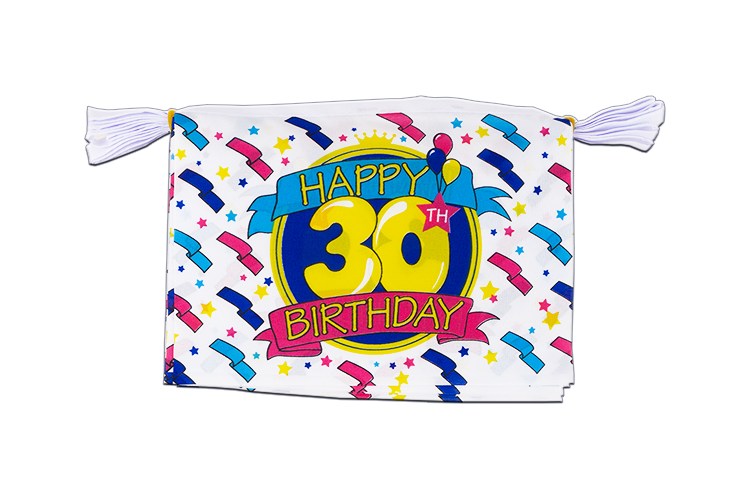 Our Happy Birthday 30th mini bunting with flags in size 6x9" is made from wind- and weatherproof heat cut woven polyester fabrics. Discover Royal-Flags.co.uk's great variety of Flag Buntings! 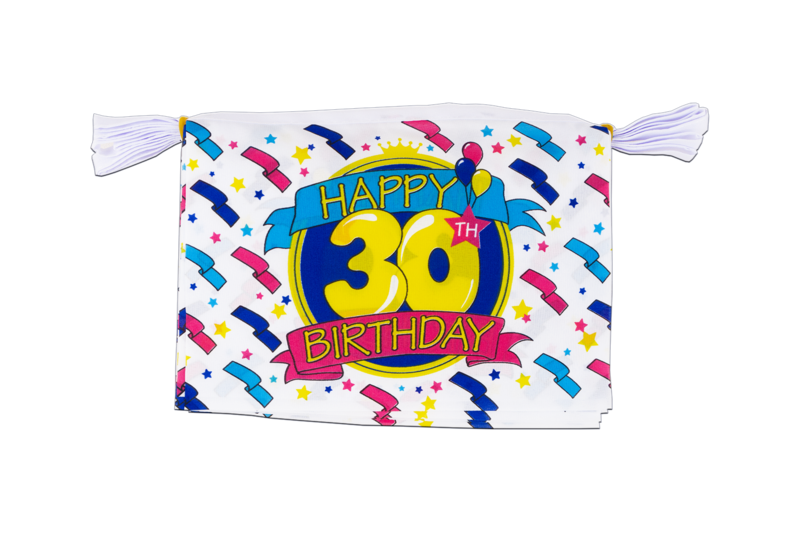 Order "Bunting Flags" in bulk from us. Buy many with less money.